Setting something up in Kanbanize? Let's do it together. The Kanban Card represents a task on the project board. Get to know how they work, the ways you can make them in Kanbanize and how to customize their appearance based on your needs. 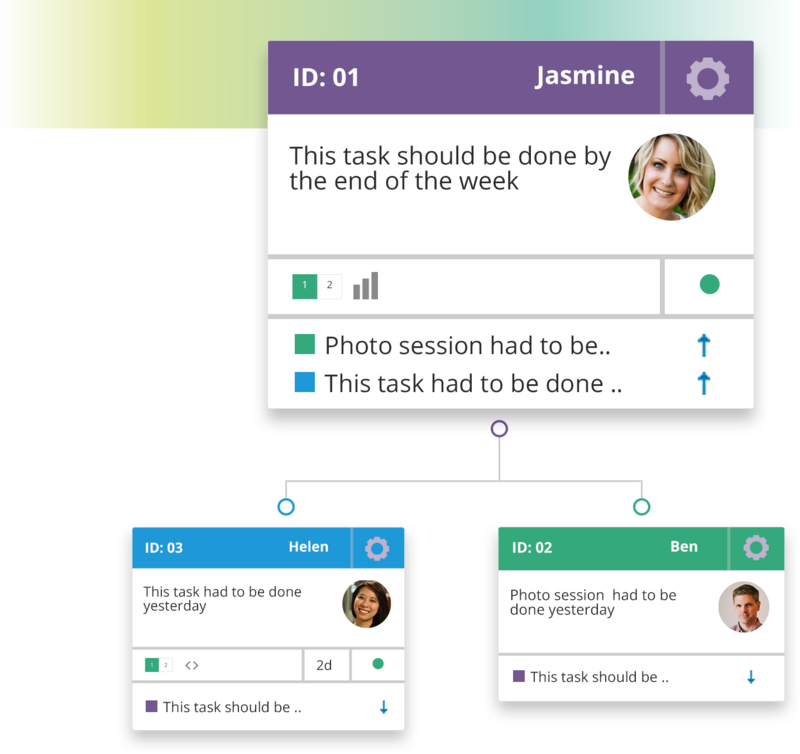 Linking your task cards can help show hierarchy in tasks, how they are connected and their relationship between each other and the bigger picture. Linking can really help organize your board. Setting up a board is like setting the rules of the way you intend to get things done – how you will split up your tasks and how many at a time you want to tackle. Once you’ve created your first project, you’re going to want to add users with certain permissions to the boards within it. 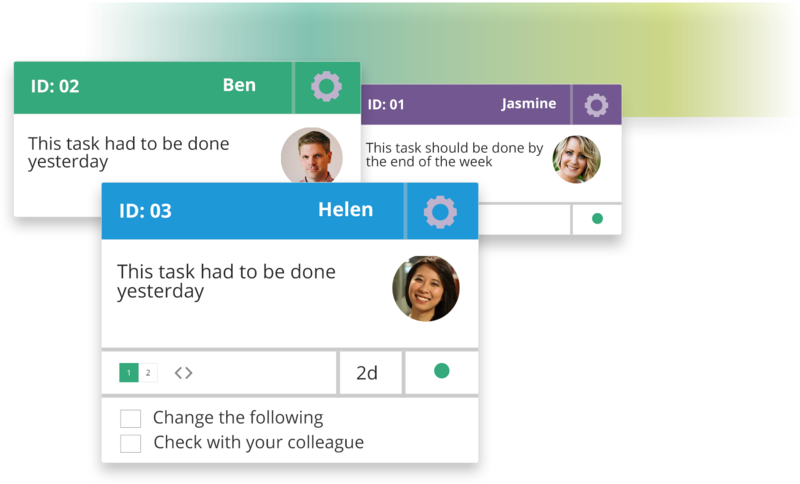 This is a flexible, customizable way to create a virtual team in Kanbanize. When you’re adding similarly structured tasks to your board on a day-to-day basis, it helps to have some templates to reflect the consistent fields that you need most often when you make a card. Watch the step-by-step set up. 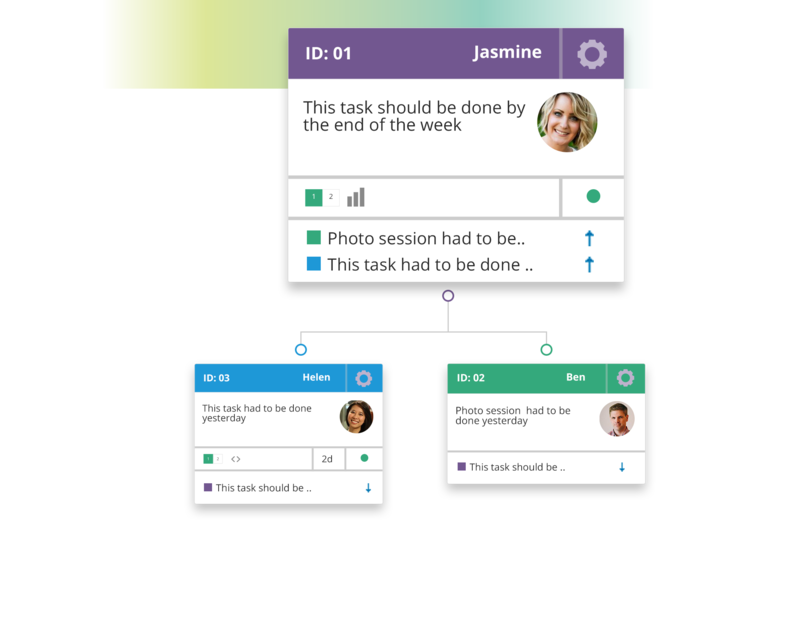 Customize the cards on your board depending on the nature of your project tasks and requirements. Add custom fields in addition to the default to track the criteria relevant to your use case. Find out how to add custom fields. When you’re setting up your advanced search, you want to make sure you’re using its incredible reach in order to focus on the most relevant information to your presentation, meeting or discussion. Find out how to search through and filter the information in your account. Having a visual representation of your specific search can really help make the copious amounts of information in your account more easily accessible. 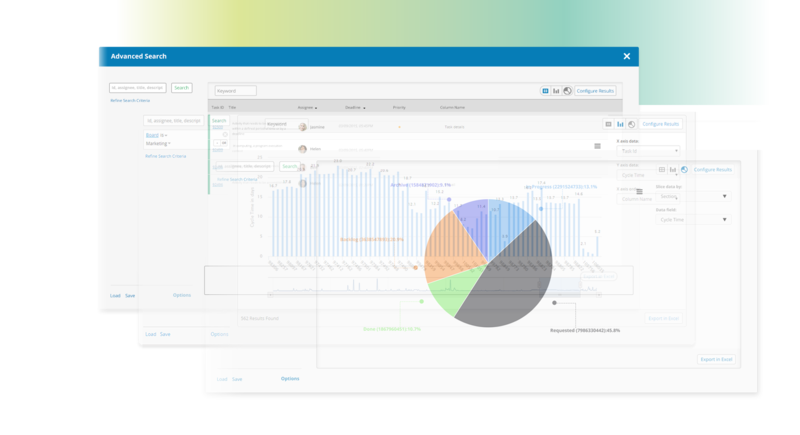 In Kanbanize, you can generate pie charts and bar graphs with a toggle option in order to zero in on the most relevant data for the occasion. Tracking the time you spend on particular cards is crucial to your entire process. Logging time doesn’t only help your administrators but it’s a simple way to monitor your own progress as well. Through our first set of Runtime Policies, administrators can set up triggers to update and create cards automatically when an action occurs within the account. Find out how automations make your team a well-oiled machine. Through our second set of Runtime Policies, administrators can set up triggers to block and unblock cards based on their links. This is a way to keep priority rules within the account while adhering to the principles of Kanban. Time-based policies trigger automations not when an action occurs, but when a time-related event occurs. Our third set of runtime policies move cards around the account based on triggers. When you have it set up, it’s a handy way to make sure you always follow up and your card is where it should be even if you’re not focusing on it. Find out how to move cards automatically. Email integration is a flexible way to connect your project boards with one of your main communication channels. This feature is extremely useful for ticketing scenarios but equally effective for any other case. Step-by-step how to link your email. Two Factor Authentication (2FA) for your Kanbanize account means needing an additional device to your desktop as well as a dynamic one-time password in order to access the system. It’s practically impossible to hack! Learn how to double your security here. Get analytics from predefined, common reasons for blocking cards on your Kanban boards. By managaging your list, you can get more data from your process. Find out how to do it in Kanbanize. Curate your main dashboard with a flexible background, custom widgets to track the vital parts of your account from your account’s entry point and get an overview of your projects and boards. 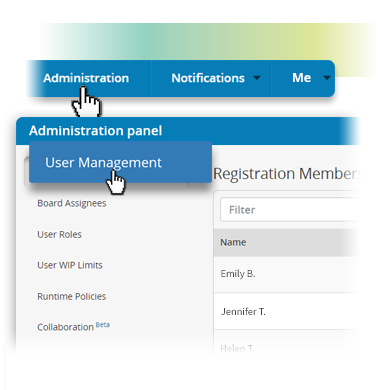 Click for the details about Dashboards. This runtime policy saves the revisions you make to your cards until a time when you want to manually restore them through the card menu. What’s great about this feature is that it can be as general or as specific as you need. Get the step-by-step set up here. These two runtime policies react automatically to exceeded or reached WIP limits in your account, help to add visibility to the process of keeping work in progress limits and make the breach of a limit an actionable event. Learn about this handy Kanban automations. The Card Count policy will trigger a predefined action such as create, move, update, send notification, or call web service whenever the number of cards in a given set of columns/lanes/cells satisfies a limiting condition. Create subtasks and update cards based on the status of their subtasks automatically using a number of the available runtime policies in our business rules engine. 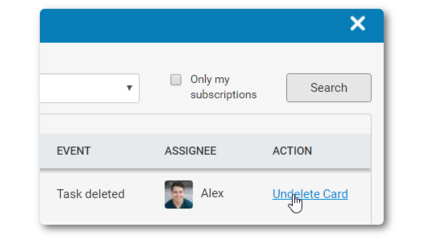 Find out how to automate your subtasks. This form of linking allows the cards to be dependent on each other with order.The relationship indicates that a successor cannot precede the predecessor in the order in which the cards get updated. Create these dependencies between your tasks. The heat map shows data for cells of a board for cycle time, logged time, block time by a period, on average or as a total of all the cards in that cell during the defined period. Bring the heat to analytics. The Trends Chart in the Kanbanize Analytics module shows total/average time for cycle time, block time, logged time aggregated by day/week/month/year. The Flows Chart is an advanced version of the CFD. It shows the fluctuations over time for a particular aspect of your board or just the selected columns and swimlanes indicated in the checkboxes. Keep the flow, find out how. The cycle time chart is made up stacked bars. Each bar represents how much time a particular task has spent in a given state. The different colors represent the different states in which the task has been throughout its life-cycle. Click to learn how to make the best use of this chart. 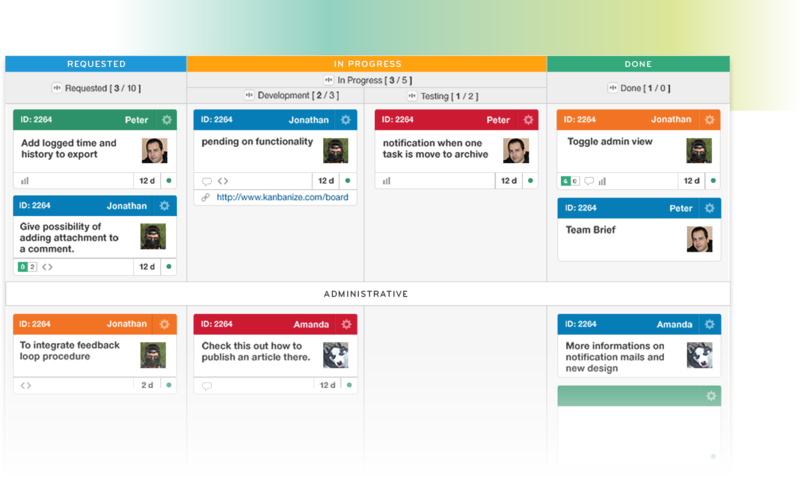 Want to get back any deleted Kanban cards from you project boards? There is a way to turn back time and restore deleted task cards to the original swimlane and column from which they were deleted. Check the quick step-by-step process of bringing back deleted cards.